Short film. Independent film. I’ve talked about them both in this forum. Short film and independent film are vital breeding ground for larger things to come. Many a great director screenwriting teams started out with shorts and independents. Never underestimate the power of independent filmmaking. That's where true art lies. 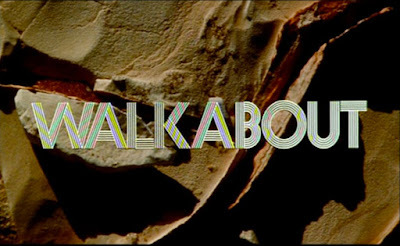 The creative team of Widegren & Andersson has been making independents and shorts for quite some time. They have been at it for at least twenty years plus, perhaps even longer. As all filmmakers they have along the way mixed high and low genres and themes, causes and reasons. Some of them stand out as the gem’s they are such as their short Vi ska till Havet, and the impressive feature Kraftwerk 3714. Their latest work is a piece of neo film noir, a Giallo flavored Swede-thriller set in a closed location. 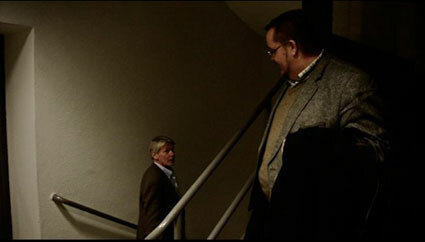 An old school sets the stage as a minimal cast of two actors tells the story of Allenea. The storytelling is impressive and tells a well-plotted tale. 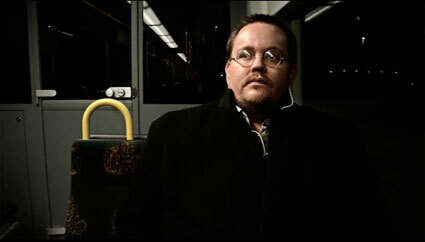 Red herrings and deceptive devices are used along the way in the thirteen-minute short. Small details that you know are placed there to make you question them. Put there to catch your eye and linger there. There’s also a sinister subplot that hides beneath the surface. The last act presents a deceptive twist that not only reveals the killers identity, but also serves up a really original and interesting take on the serial killer and victim story. I can’t really recall seeing this kind of twist being used before and it is a pure stroke of genius. 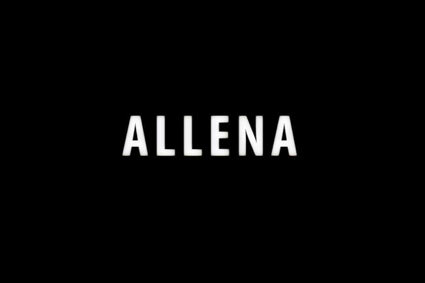 It is reason why Allena is such a great piece of short cinema. 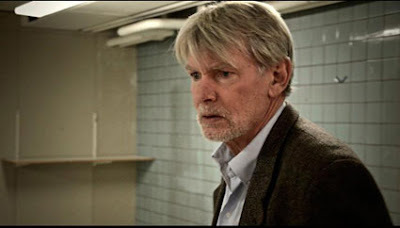 Acting is top notch and using an actor of Huddén’s caliber really ups the game. This guy is a pro and its reflected in the way Andersson interacts with him. It also becomes apparent that Andersson really only should act against top actors, as the performance he gives in the presence of Huddén is brilliant. It almost made me want to call Anderson up and ask if all was ok. It’s an awesome performance to say the least, and it is possibly the finest one Andersson has given to date. Believe me when I tell you that there are major league awarded Swedish actors who give performances paler than this one on each and every occasion. I’m not much for tech, as I never really got into variations of cameras and stuff. I still shoot on my analogue F301 Nikon or a very basic Nikon Digital camera… I still haven’t tried the film options at all. I wish I had though, as there’s so much one can do with the simplest of cameras these days. Not being a tech person, I’ll fall back on my form is nothing, story is everything mantra when it comes to Independent and short form cinema. Although there’s no need for that here, as Allena – shot by Widegren - looks really, really good. There’s none of the painfully sloppy independent cinema set-ups that one usually finds to be seen in Allena. The minimal lighting has been used to the maximum, locations are realistically lit and it stays that way. There’s never the feeling that anything was left to chance, but instead a aura of absolute control lies over the piece. Hence the fulfilling satisfaction that this short film brings with it! Widegren and Andersson control their art perfectly. 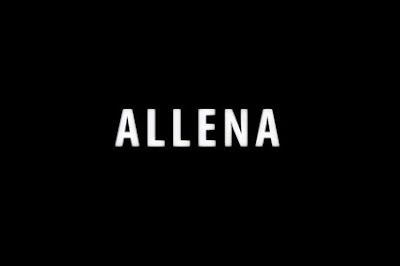 Allena is a very authentic film with a delightfully deceptive narrative. A must see piece of Swedish Short Cinema which can be enjoyed with English subs by following the link below. The Sarnos - A Life in Dirty Movies.